It has become a common and good practice to record screen for a video tutorial, a how-to article or a guide, or any other activity to do with recording your desktop session, then screen recording software can help you accomplish all the above. We can use Peek tool that allows you to record short animated GIF/WebM/MP4 images from your screen. SimpleScreenRecorder is an application that enables you to record other applications and games running on your screen. It is a simple yet powerful and feature rich screen recorder with an easy to use interface. Demo here. Screenkey is a free and open-source Linux app that shows key presses on screen, as you press them. Screenkey features multi-monitor support, lets you customise the size, colour and position of the on-screen font. Demo here. This app recordMyDesktop is yet another Screen Recorder / Screencasting app for Linux. It supports recording the Screen in various video formats and sizes as well as window recording. 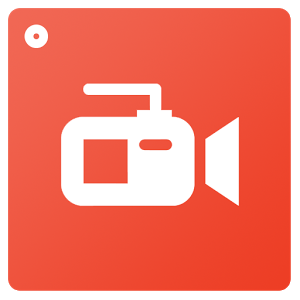 The app also supports pausing and resuming the recording of screencast. Demo here. Kazam is also a simple yet powerful screen recorder that you can use on your Linux desktop, it captures your screen content, records a video file and optionally audio from a supported input device. It can record just the webcam or it can display the webcam in a window on top of the screencast and support for broadcasting to YouTube Live. Demo here. Showterm is an open source terminal record and upload application that lets you easy to record how-to in your terminal. It will record all your terminal activity in text-base and upload to showterm.io as a video and then generates a link for you to share with your team-mates or embed it in your website as an iframe. Also you can look at asciinema as a terminal recorder.